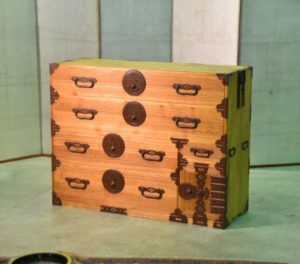 An unusual style merchant chest distinctly from the Matsumoto region because of it’s hardware. SKU: 10923. Categories: Chests, Merchant Chests, New Arrivals.